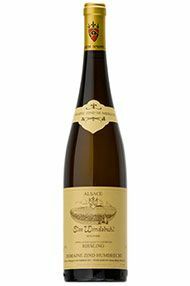 This outstanding vineyard, which is wholly owned by the domaine enjoys one of the coolest micro-climates in the Haut-Rhin. Because of this, the fruit has a long even ripening period that particularly benefits the Riesling grape. 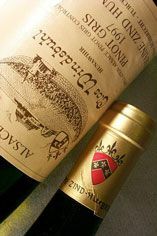 This 2002 shows pure ripe lime fruit and outstanding mineral complexity on the bone-dry palate. This will evolve beautifully over the next decade. Drink 2008-2016. Benefiting from a cool, calcareous rocky terrain, Hunawihr's Clos Windsbuhl is a legendary vineyard producing wines of great minerality, verve & longevity. Unaffected by noble rot (which was diverted away to produce a Vendange Tardive) in '02, the purity and definition of this racy wine is staggering; indeed such is its stature that there is no inkling of its 15% abv. Needs decanting at all cost & will age for 10 years.